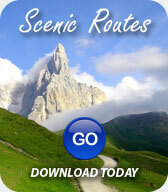 To follow our routes we recommend downloading the following apps on to your iPhone. Please install these App before following instructions. 2. Forward the email to your iPhone. 3. Open email from Route-Led - Click on attachment. (This may vary dependant on your email provider). 4. Press the Share icon (box with arrow pointing up). 6. Press ok when asked Would you like to unzip all files. 7. Open GPX folder (View list of Routes). 8. 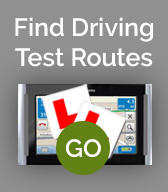 Select a Driving Test Route to navigate. 10. Select Copy to OsmAnd Maps. 1. Import Data: Select GPX Track. 2. My Trips: Select a route to navigate. 3. Press map icon (folded paper map icon). 4. Press Navigation Icon (Arrow). 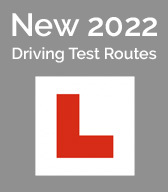 (We recommend you drive to the Driving Test Centre before starting navigation).